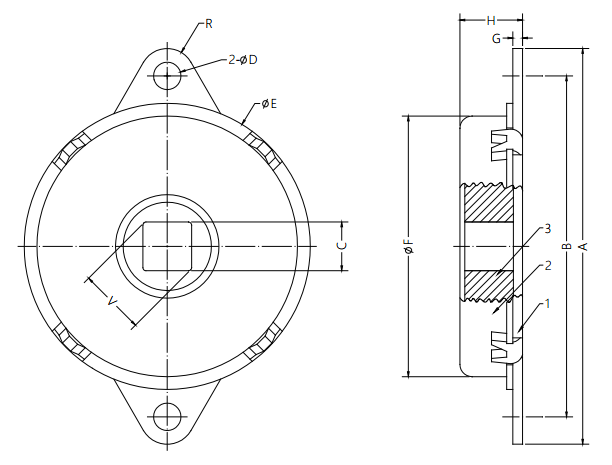 The direction for damping torque of ABD DQ47A disk rotary dampers with a steel body is either clockwise, anticlockwise or bi-directional. 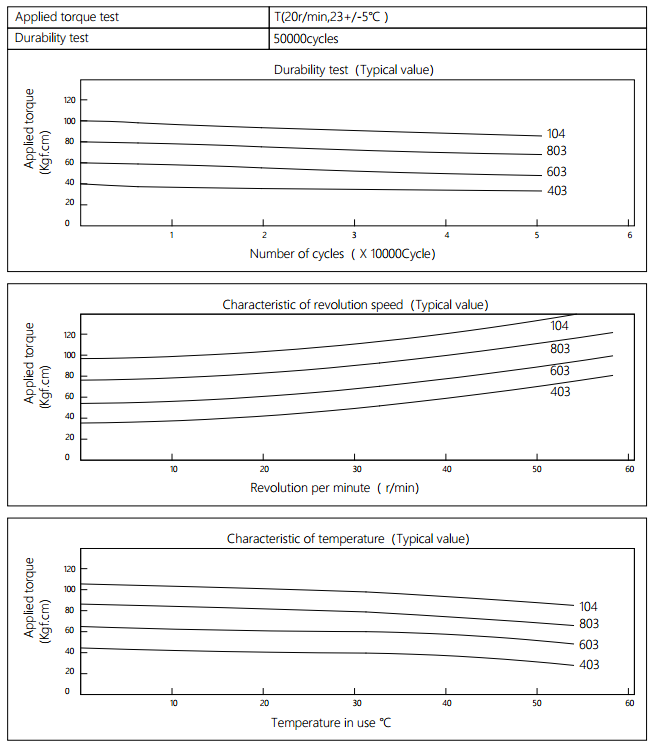 ABD disk dampers provide energy absorption and rotational deceleration. Disk damper for scanner soft close, infinite angle rotation. The direction for damping torque of ABD disk rotary dampers with a steel body is bi-directional. Our disk dampers are the perfect solution for a wide range of applications, from office equipment, and furniture equipment to commercial equipment to. ABD Disk dampers are designed to control and smooth out the opening and closing of lids, and doors. This smooth deceleration provides and anti-slam function. When rotary damper disk damper use in the scanner, it will keep the scanner close silently and slowly. ABD disk dampers are crucial for many products which require safety, high quality and durability solutions. ABD scanner disk dampers are easy to install.once installed, they are increasing equipment life and reducing maintenance expenses. Welcome to purchase high quality and precise scanner disk dampers from A.B.D. Equipment Co., Ltd. - one of the leading such manufacturers and suppliers. Our products with advantages of excellent quality, competitive price, and best service are your first choice.If you are interested in any of scanner rotary dampers or would like to discuss a custom order, please feel free to contact us. We are looking forward to forming successful business relationships with new clients around the world in the near future. 1. Please contact the corresponding product engineer for specific torque products. 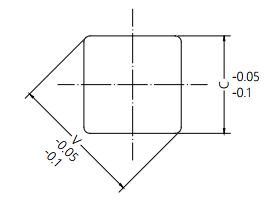 The damper square hole coordinates with the rotation axis dimension tolerance. Test result criteria: Store in the room temperature for 24 hours or more after the test, recording to the torque T=T±30%T. 1.Dampers may generate torque in both directions, clockwise, or counter-clockwise. 2.Please make sure that a shaft attached to a damper has a bearing, as the damper itself is not fitted with one. 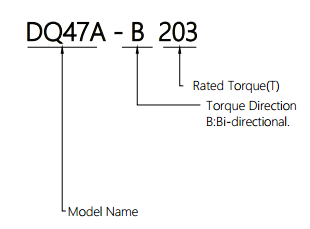 3.please refer to the recommended dimensions below when creating a shaft for DQ47A-B. Not using the recommended shaft dimensions may cause the shaft to slip out. Theater seats, auditorium seating, wall chairs, scanner, office equipment, furniture equipment, commercial equipment, auto seats, auto seat back plate, rotating mechanisms and many other cover plates, etc. 1. Do not operate without sufficient mounting strength. 2. Do not operate without an external stopper. 3. Using dampers beyond the specified. 4. Please do not use under the oil or vacuum environment. 5. Do not discard abandoned damper. 6. Radial load to the shaft. 7. Over-tightening of mounting screws. 8. Using dampers beyond the durability. ABD Equipment Co., Ltd. focuses on lean manufacturing of precision components in molding, assembly and quality management. 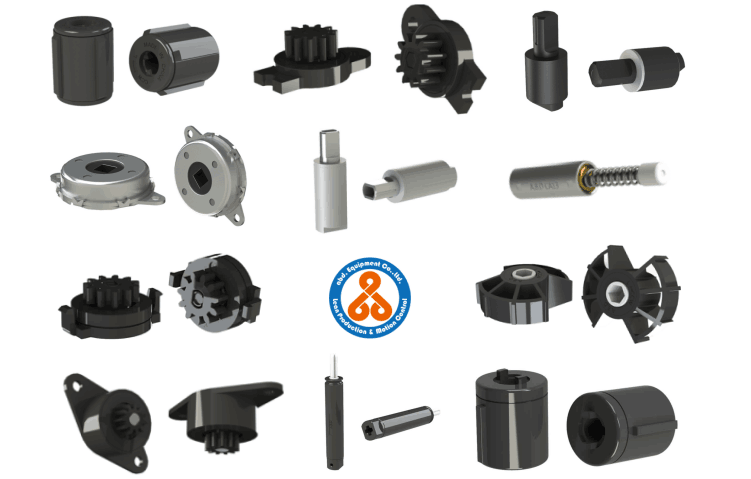 The main products we develop and design include precision motion hinges, damping components, motor gearbox drive components, lock bodies and stop mechanisms for motion control related products. ABD's products are widely used in household appliances, electrical products, industrial manufacturing, furniture decoration, hutch defends equipment, public facilities, etc. Our products is conducive to performing structural movement in soft, silent and safe environment, mitigating impact load, avoiding strike damage, prolonging mechanical life, reducing noise disturbance, improving product quality and improve customer satisfaction. Our products range from barrel damper, vane damper, stop damper, gear damper, disk damper, shaft damper, shock damper, damping gas spring. Feel free to contact us if you are interested in any of the ABD products and services. ABD's products are widely used in household appliances, electrical products, industrial manufacturing, furniture decoration, hutch defends equipment, public facilities, etc. Our products is conducive to performing structural movement in soft, silent and safe environment, mitigating impact load, avoiding strike damage, prolonging mechanical life, reducing noise disturbance, improving product quality and improve customer satisfaction. The Corporations main business product includes: barrel damper, vane damper, stop damper, gear damper, disk damper, shaft damper, shock damper, damping gas spring. Feel free to contact us if you are interested in any of the ABD products and services.